Well I must say I am lucky that I did not sign a contract with MTN. I am in a Dark Red Area according to their maps, but I start to wonder if MTN know what it is suppose to mean. May it mean When it is Dark Red, Screw you, we do not Have a signal to serve you. I do not know how long it will take me to use the 1gig that I have load. At this rate at the moment, It lokk like I am going to take more than a year, because the speed here is,,,, wel i rather not say what I thing. People please, before signing any contracts with MTN, first try your area out to see if it is worth it. Has anyone else lost all international access? A friend on a prepaid sim can't seem to connect since Friday. My sister is having the same problem on her prepaid sim, but the contract sim is working fine. Anyone else having issues on prepaid? PPDB , working fine on my 32k sim Airwolf . My son's prepaid sim isn't sending sms or connecting to web. Phone shows 3G connection. See my post above - same problem - couldn't connect to the web. After my sister recharged, she could connect again, but she still had around R6.00 when the connection problem started. I know on Vodacom you can't connect if your balance goes below one rand. Ok, I've resolved the problem - he was out of airtime! BUT the situation was confused as when he enquired, he was told he still had R10.83 available. What he wasn't told and only found out when calling *141*1# (or somesuch) that the airtime was for MTN to MTN. The confusion arises from badly designed messages. For most of the weekend and today I've had absolutely no 3G signal, as if the tower's just vanished? So now I'm stuck on EDGE where I'm lucky if I get 20kpbs and even then it randomly times out and disconnects so essentially I have an unusable connection and 1.8GB left on my 2GB bundle. Who can I complain to to find out what's going on and actually get it sorted? I know calling customer care'll be a waste of time, this is just pathetic. Got a PM from someone at MTN about the problem and when I woke up this morning it was working again, so thanks for the response and good service. I have also been experiencing data problems with Mtn but it is never the network... I have a htc tytn2, which I connect to my pc for internet access. 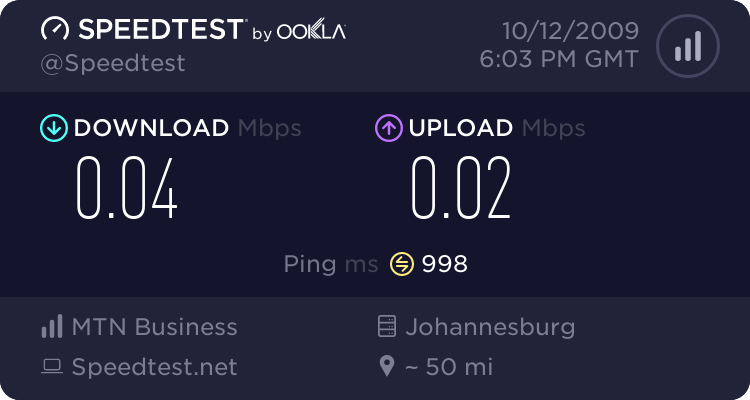 Whenever I try to download files +/- 98mb then it will only download about 10mb and slowly cut out.Once that happens I can't even browse the net from my pc as the Hsdpa sign changes to a 3g sign but no pages load. At first they blamed my phone, then my pc (latest virus update detects no viruses). I was told to call the data help desk on 1555 but when I call that number it says the number does not exist. I called customer(lack of) care where they told me to find someone with a contract phone and call the number as they can not put me through to the help desk. If I can buy data bundle should I not also be able to contact the data help desk from my prepaid number??? Does this elusive data help desk even exist? I got through to the data call center this morning and they were helpful, as I have had no 3G for 2 days and it has defaulted to Edge. I have had problems in the past trying to contact them from other numbers, but I got through on a land line. Apparently they are doing some serious maintenance and the 3G should be working again by Friday. I hope so, as I do volunteer work on the net and its a little difficult on 2G. Oh, Wow ok, 3G miraculously came back 5 minutes after posting this. Yay! 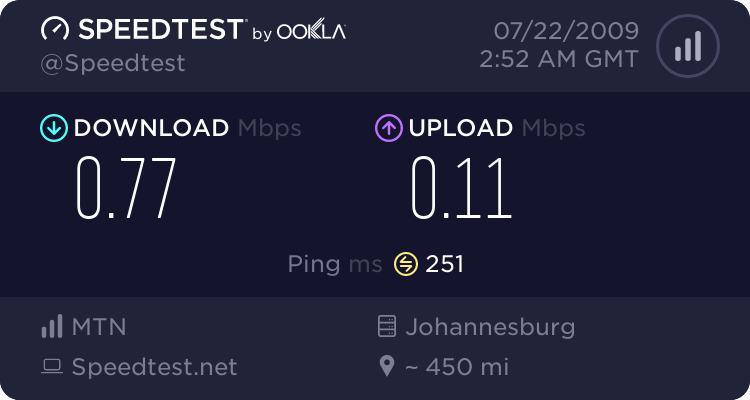 Is anyone have MTN data speed problems in the Little Falls/Ruimsig/Wilgehewel area's, JHB. For the last two day's I ahve been battling with connectivity to MTN data. It is bouncing from edge to 3G to HSPA (Including HSPDA & HSUPA). Today I phone 1555 data help desk and spoke to coverage team and they suggest to set the modem to "3G Only" and connect. No Luck. It show a full 3G signal on the modem and the minute it connects it switches over to HSPUPA (384kbps/2Mbs). This is SO fustrating. Feel like a 80's working on 9600bps dailup line. Can anyone help or give suggestions? I have mine set to 3g only, and it is normal for it to switch over from 3g (384k) to HSDPA + UPA (3.6/2 or 7.2/2) after it connects. So something else is amiss.